The day after Gov. Mark Dayton laid out his opposition to mining on state lands near the Boundary Waters Canoe Area, mining opponents looked ahead to a pending federal decision that will have further bearing on whether copper-nickel mines are to be developed within the watershed of the protected wilderness. At issue are two federal mineral leases that Twin Metals Minnesota holds near Birch Lake and the South Kawishiwi River, southeast of Ely, Minn. Those leases expired at the end of 2013, and the company's application to renew those leases has been pending with the federal Bureau of Land Management for more than three years. The BLM is conducting an environmental review of the proposed lease renewal, something opponents hope could eventually lead to a decision to ban the mining of copper, nickel and precious metals near the BWCA. "There will be a look at the fisheries, the forested ecosystem, wildlife, aquatic resources ... a whole array of issues to determine if this is the right place for this type of activity," said Becky Rom, director of Northeast Minnesotans for Wilderness, which is leading a campaign against mining near the BWCA. The leases were first granted in 1966, before federal environmental regulations were in place. Rom says this is the first time there has been environmental review of a mining proposal within the watershed of the BWCA. A study published last month in the Journal of Hydrology found that leaks from a mine could cause pollution known as "acid mine drainage" to cause potentially significant damage to the BWCA. "There are some areas that are so ecologically important, they should not be exposed to this sort of risk," Rom said. Twin Metals, a subsidiary of the Chilean mining company Antofagasta, has outlined plans for a giant $2.8 billion underground mine, operating for 30 years and employing about 850 people. The company holds leases and permits to a total of about 27,000 acres of federal, state and private mineral rights southeast of Ely where it has exploring for the past decade. Twin Metals declined to comment for this story, but in a letter to stakeholders last year, the company said "lease renewals are critical to reinforce the valid federal mineral lease rights Twin Metals holds, so that project development can confidently move forward and investor financing be secured." The company calls the lease renewal an administrative decision that "does not independently allow mining to proceed, and therefore cannot result in any environmental consequences." The BLM did not respond to a request for comment. A spokesman for Twin Metals said the agency is awaiting the results of a review of legal issues before proceeding with the lease renewal. 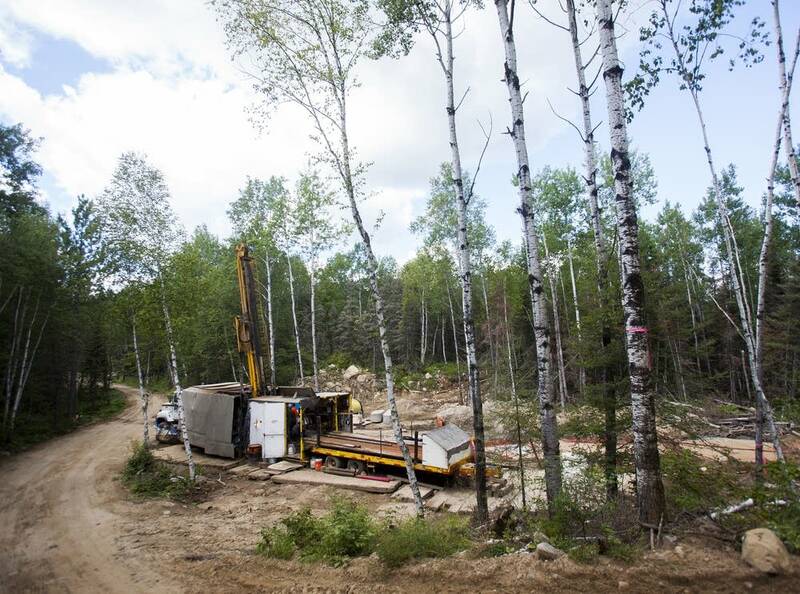 Even if the federal government eventually renews Twin Metals' federal mineral leases, it's unclear how viable the company's project would be without access to state surface lands and mineral rights. In his letter to Twin Metals, Dayton said he apprised the BLM Director of his "strong opposition to mining in close proximity to the BWCAW," and said the federal agency's decision on whether to renew leases "will offer further guidance on the future of mining in the area." State Representative Tom Anzelc, DFL-Balsam Township, said the governor's decision also impacts other companies exploring for minerals near the Boundary Waters. "It puts a damper on additional investment and exploration by virtue of the fact that state land is now off limits," he said. "It's not good news for job creation in northern Minnesota."